Forza Horizon 4 has officially gone gold. Additionally, there’s good news for the Aston Martin enthusiasts out there, as Microsoft has announced the Best of Bond Car Pack, which will launch alongside the game. Given Forza Horizon 4’s UK setting, 007 getting involved isn’t too surprising, but still, it’s a nice treat for Bond fanatics and Anglophiles. You can get the lowdownon all the rides included in the Bond Car Pack, below. 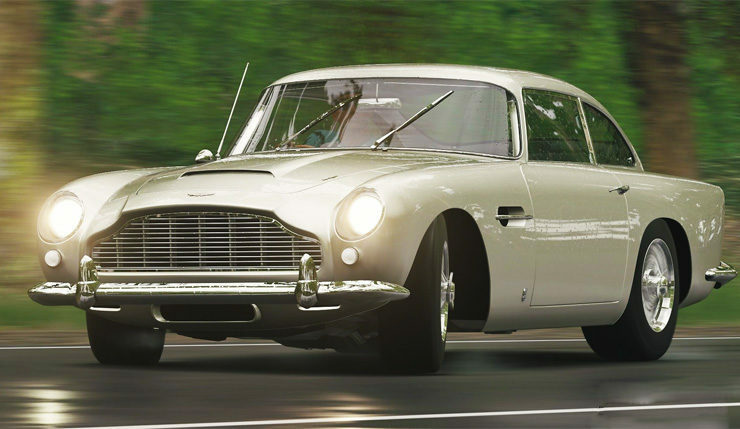 Oh, and don’t worry, the cars will boast their various 007 gimmicks and gadgets, including the Aston Martin DB5’s revolving license plate and extendible bumper rams. The Bond Car Pack will be available from day one as part of the Forza Horizon 4 Ultimate Edition, or you can purchase it separately (stand-alone pricing has been revealed yet). For those who haven’t been keeping up, earlier this summer Forza Horizon 4 developer Playground Games recently revealed a ton of info about the game via a series of seasonally-themed livestreams – I suggest you check out spring, summer, fall, and winter. Or you can just watch the quick features trailer, below. As we reported earlier today, a free Forza Horizon 4 demo is now available. Grab it right here. Forza Horizon 4 cruises onto PC and Xbox One on October 2. Those who buy the Ultimate Edition of the game can play four days early on September 28.